Sara Biela and Chase Turner, graduate students in the lab of Wasana Sumanasekera at Sullivan University College of Pharmacy in Kentucky, will present new findings tied to hemp’s anti-cancer properties at the American Society for Biochemistry and Molecular Biology annual meeting during the 2018 Experimental Biology meeting to be held April 21-25 in San Diego. Two new studies examined the therapeutic potential of an extract known as KY-hemp, which is produced from hemp grown in Kentucky. 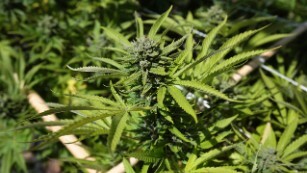 The plant strain, growing conditions and processing techniques were all optimized to produce an extract containing substances with potential therapeutic benefit and to eliminate any residue that could contaminate the product. In one study, the researchers found that adding various doses of KY-hemp extract to cultured ovarian cells led to significant dose-dependent slowing of cell migration. This finding indicated that the extract might be useful for stopping or slowing down metastasis — the spreading of cancer to other parts of the body. In a second study, the researchers explored the biology of KY-hemp’s protective effects against ovarian cancer, which they had observed in previous studies. Experiments with cultured ovarian cancer cells showed that KY-hemp slowed the secretion of the interleukin IL-1 beta. Interleukins produce inflammation that can be damaging and has been linked to cancer progression. The hemp-induced slowing of IL-1 β secretion represents a possible biological mechanism responsible for KY-hemp’s anti-cancer effects. Washington (CNN) Senate Minority Leader Chuck Schumer plans to propose legislation decriminalizing marijuana on a federal level. While Schumer, who was elected to the Senate two decades ago, has been supportive of medicinal marijuana, he has now “evolved” his thinking on recreational marijuana. “The time has come to decriminalize marijuana,” the New York Democrat said in a statement Friday announcing his plans to introduce a new bill in the Senate. “My thinking — as well as the general population’s views — on the issue has evolved, and so I believe there’s no better time than the present to get this done. It’s simply the right thing to do,” he said. Schumer further explained his decision in a Medium post Friday. According to Schumer’s office, under the new bill, marijuana would be removed from the list of substances classified under the Controlled Substances Act. Schumer’s legislation would leave in place decisions by states on how to regulate marijuana, the authority of federal law enforcement to penalize trafficking from states that have legalized the drug to those that have not, and federal regulation of marijuana advertising so children aren’t targeted. The bill also seeks to allocate funds for women and minority-owned marijuana businesses and public health research regarding the effects of THC, the main active chemical in marijuana. CNN’s Manu Raju contributed to this report. (CNN) Marijuana is notorious for slowing certain cognitive functions such as learning, memory and attention span (maybe that’s why they call it “dope”?). But new research in young people suggests that these cognitive effects, while significant, may not persist for very long, even among chronic users. The meta-analysis, published Wednesday in the journal JAMA Psychiatry, combines data from 69 previous studies that look at the effects of heavy cannabis use on cognitive functioning in adolescents and young adults. 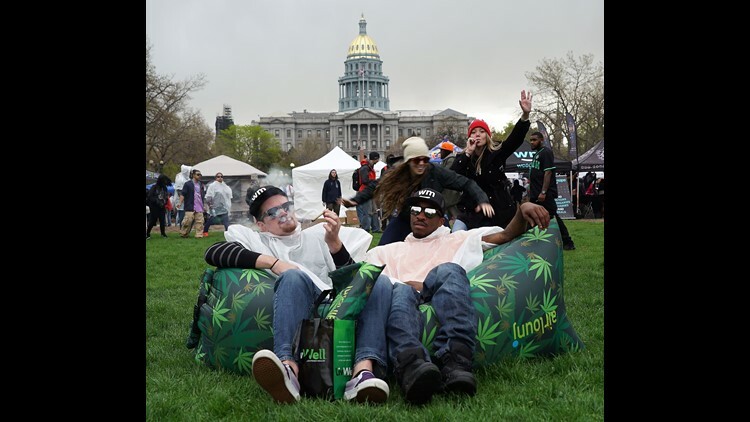 It found that those young people who identified as heavy marijuana users scored significantly lower than non-users in a variety of cognitive domains such as learning, abstraction, speed of processing, delayed memory, inhibition and attention. “There have been a couple of meta-analyses done in adult samples, but this is the first one to be done specifically in adolescent and young adult samples,” said Cobb Scott, assistant professor of psychiatry at the Perelman School of Medicine at the University of Pennsylvania and a lead author of the study. But when the researchers separated the studies based on length of abstinence from marijuana use, the difference in cognitive functioning between marijuana users and non-users was no longer apparent after 72 hours of marijuana abstinence. That could be an indication “that some of the effects found in previous studies may be due to the residual effects of cannabis or potentially from withdrawal effects in heavy cannabis users,” Scott said. The study comes as America continues to debate the merits of marijuana legalization. Recreational marijuana use is legal in nine states. Twenty-nine states and the District of Columbia have legalized some form of medical marijuana use, with at least three additional states potentially deciding on the issue in the upcoming November election, according to Melissa Moore, New York deputy state director for the nonprofit Drug Policy Alliance. Studies on the long-term cognitive effects of marijuana use among adolescents and young adults have shown inconsistent results. A 2008 study reported that frequent or early-onset cannabis use among adolescents was associated with poorer cognitive performance in tasks requiring executive functioning, attention and episodic memory. A 2014 study also warned against the use of marijuana during adolescence, when certain parts of the brain responsible for executive functioning — such as the prefrontal cortex — are still developing. “There have been very important studies showing evidence for irreversible damage (from marijuana use), and so there needs to be more research in this area,” said Kevin Sabet, assistant adjunct professor at the Yale School of Medicine and president of the nonprofit Smart Approaches to Marijuana, who was not involved in the new study. “I hope they’re right. We want there to be little effect after 72 hours. But given the other studies that have had very large sample sizes that have been published over the past five years in prominent journals, I think we need to look into that more,” added Sabet, whose group is focused on the harms of marijuana legalization. But a number of recent studies have also shown that the association between marijuana use and reduced cognitive functioning disappears after controlling for factors such as psychiatric illness and substance use disorders, according to Scott. In an attempt to make sense of these discordant results, the new research combined data from 69 previous studies, resulting in a comparison of 2,152 frequent marijuana users with 6,575 non-users. Participants ranged in age from 10 to 50, with an average age of 21. The researchers found that, overall, the cognitive functioning of frequent marijuana users was reduced by one-third of a standard deviation compared with non-frequent marijuana users — a relatively small effect size, according to Scott. But according to Sabet, even a relatively small effect size could be important, especially in a large meta-analysis such as this one. “The small effect size may be meaningful in a large population, and again, all (cognitive) measures are worse for those using marijuana,” Sabet said. In an effort to identify other potential factors that could have affected the relationship between marijuana use and cognition, the researchers also separated the studies based on the length of marijuana abstinence, age of first cannabis use, sociodemographic characteristics and clinical characteristics such as depression. Of these, only the length of marijuana abstinence was found to significantly affect the association between chronic marijuana use and reduced cognitive functioning. Specifically, cognitive functioning appeared to return to normal after about 72 hours of marijuana abstinence — a threshold identified in previous studies, according to Scott. “The reason we chose the 72-hour mark is that in looking at the data on cannabis withdrawal effects in heavy cannabis users, 72 hours seems to be past the peak of most withdrawal effects that occur,” he said. However, the 69 studies included in the review did not have a uniform definition for “chronic” or “frequent” marijuana use, one of the study’s main limitations, according to Sabet. “When you put all of these studies together that have different definitions of marijuana users and are from different times, it’s not surprising that you’d get a smaller effect size,” Sabet said. of tests to determine cognitive functioning, including the Trail Making Test, the Digital Span Memory Test and the California Verbal Learning test, according to Scott. “The other thing that’s important to highlight is that we’re only looking at cognitive functioning. We’re not looking at risks for other adverse outcomes with cannabis use, like risk for psychosis, risks for cannabis use problems or other medical issues like lung functioning outcomes,” Scott said. But the results still suggest that the negative cognitive effects of marijuana use, while significant in the short-term, probably diminish with time. They also shed light on the need for more research in this area, particularly as cannabis policy in the United States continues to change at a rapid pace. “As attitudes change about cannabis use and cannabis use becomes a little bit more accepted in terms of policy and government regulation and medical cannabis use increases, I think we need to have a real understanding of the potential risks and benefits of cannabis use,” Scott said.